Rev. Mitchell is Co-founder of Christ Center Ministries and is known for being an accurate Prophet with a keen spirit of discernment as well as having had many open visions from God. Rev. Mitchell says "I was born to tell the world through my many supernatural experiences with God, that Jesus Is Alive." Check our Bookstore for purchase of two published Books, My God Is Alive and When Love Overcomes desire. Lena Baker rededicated her life to Christ and was baptized and filled with the Holy Ghost in 1989. Lena attended Serenity School of Ministry in Detroit Michigan, where she studied biblical principles and the foundational doctrines of the Lord Jesus Christ. She also was a faithful member of the Serenity Center Ministry team for 17 years, where she led the youth ministry in God inspired dramas, songs, and dance. Minister Lena's strong faith in God has been the nucleus of her spiritual walk, which also has rooted and grounded her in a profound relationship with the Lord. Trusting in God whole heartedly to bring her through life's trials and tribulations, then to witness His supernatural power be performed in those situations, has catapulted Lena's growth in the knowledge of God and in his word. Lena believes that being obedient to God's principle's are the gateway to revelation knowledge and wisdom in GOD's word. Minister Baker is a co-founder of Christ Center Ministries and has been ordained by God to work in His Kingdom. Lena has ministered at women and men's shelters and is well known for her loving spirit and generosity . Minister Lena's objective in the Kingdom is to teach God's pure word so that it reaches the spirit and soul of a person, with signs and wonders following and introduce them to a one-on-one relationship with God. 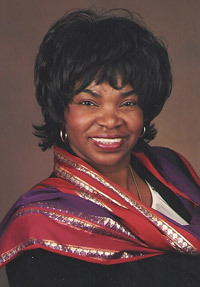 Betty Payton was born again at the age of 12, but did not come into a personal relationship until 1990. This relationship was forged in many trials and tribulations. These trials caused Minister Payton to seek the Lord diligently and ignited a desire in her to be filled with the Holy Spirit. This led to much prayer and fasting which revealed a gift of intercession and prophecy. Minister Payton boldly proclaims the gospel of Jesus Christ and loves telling everyone about the power of God and that Jesus Is Lord. Minister Payton demonstrates her love of God by her passion for people. Minister Payton boldly assures those she intercedes for that "something is about to happen!" 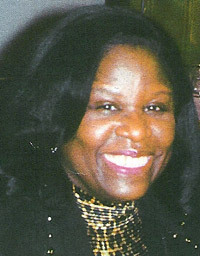 Betty attended the Serenity School of Ministry in Detroit Michigan and was a faithful member of the ministry team for 17 years. Minister Payton was in charge of the Usher Board and led the prayer Ministry. 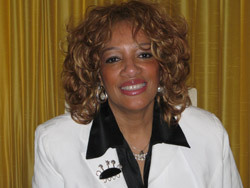 Minister Payton is an anointed and knowledgeable teacher of the gospel and teaches weekly Bible study classes. Minister Payton is a co-founder of Christ Center Ministries and has been ordained by God to pray, train and encourage the saints of God in this last day. Minister Payton proclaims "I live by faith", and as a result signs and wonders are commonplace in her ministry. Minister Payton is preparing in the long term to open her 24 hour prayer center. The prayer center will pray for healling and deliverance. There will also be 24 hour praise and worship.